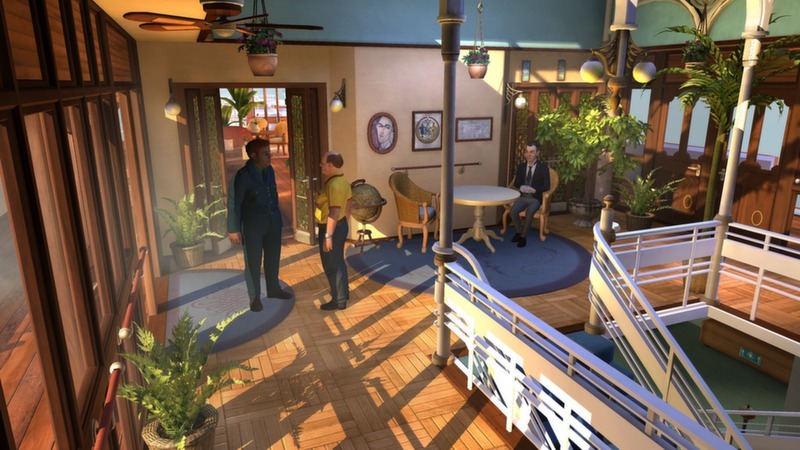 The Raven: Legacy of a Master Thief is a new episodic adventure game. The Eye of the Sphinx is the first of three chapters and was released on July 23. The game was developed by KING Art, who also brought us The Book of Unwritten Tales, and published by Nordic Games. Everything in the 1960 section is revealed only through the dialogue of the characters (if you haven’t played the iOS preview, which allows you to play out that scenario). 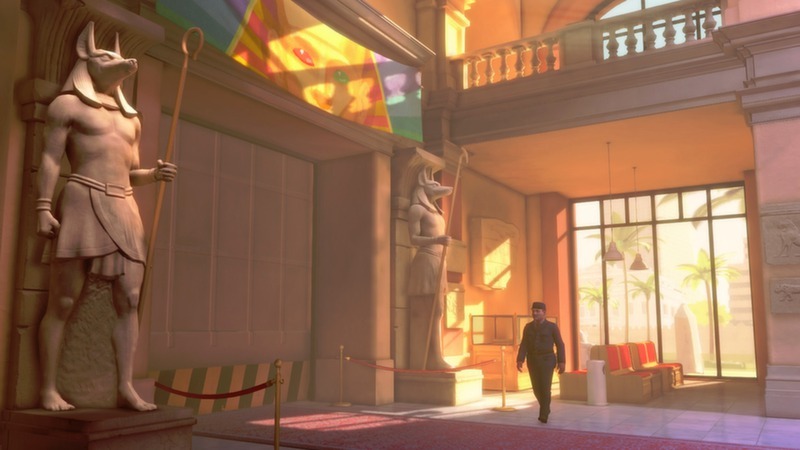 The game itself takes place in 1964 and has some nice period references (such as Cleopatra being nominated for the Oscars). The plot is quite engaging and got me really involved with trying to figure out clues to the identity of the Raven. There are a few red herrings, as in any good detective story, that keep you guessing until the end. The cast of characters is great, and everyone has their own motivations and secrets. There are two locales explored in chapter one: a train and a passenger ship. I liked that the main character is somewhat unconventional. Most games have you playing someone young and fit, but Constable Anton is middle-aged, a father, overweight, has a heart condition, and is in a theater troupe on the side. Definitely not your typical game hero. He’s also a good and observant detective (except in one case, where a boy tells him he saw a ghost go by the train window and he tells him he’s imagining things – when he knows that there is probably a master thief on board. Come on, Anton). It took me five hours to complete the game, using a walkthrough from the Steam community when I got stuck. The game has really nice graphics, even when you have to go down to the low quality setting like I did. On the default medium, things were more detailed, but I had an awful stuttering problem. It ran smoothly after that though. The load times are fairly long, enough so that I got annoyed. Faces are well-animated, with blinking and moving eyes, but sometimes the teeth/mouth area looks kinda freaky. Walking is sometimes very awkward, especially on the train. There is a beautiful stringed main theme, but for the first half of the chapter, it and variations of it are pretty much the only music you will hear except for a Harry Potter-esque theme on the train. Once you get to the ship, the music becomes more varied. Voice actors are all of high-quality, and there’s a variety of accents on display. I don’t have enough of a knowledge of what these accents “should” sound like, but nothing stuck out as bad to me, and no one sounded stiff or uncomfortable. About an hour in, I made a screen transition and couldn’t figure out what to do, so I went back to the previous screen. When I attempted to go back, I got a black screen that never loaded. Thankfully, I could continue my progress with the help of a Steam community member who uploaded his or her save file right before that point. There are quite a few other reported bugs, which I thankfully did not run into, but it was really frustrating when I thought I was going to lose an hour of gameplay. I probably would have given up for a while without the save. This is definitely something to be aware of if you’re thinking of purchasing the game. [This bug, along with the others mentioned, has been patched.] I was also annoyed that I missed an entire “side-quest” because the game never put in any leads for it – or leads were mentioned too late in a way that made no sense when I had no knowledge of the puzzle. In an RPG, a missed quest would be standard practices, but for an adventure game, I feel that all the avenues should be mandatory in order to get the entire story. The way I played, I inadvertently missed the introduction of a major character. You start the game with 1000 adventure points and earn more for progressing in the game. You should get an achievement for getting more than 8000, but that’s currently glitched. If you want to highlight all the hot spots on screen, that will cost you 10 adventure points, and if you use a hint, that will cost you 100 adventure points. I think this is a good way to balance out the game without making the punishment too severe, and you don’t have to touch either hint system if you don’t want to. Hints are located in your very helpful notebook, which is where Constable Anton keeps detailed notes on everything that has happened so far. As the game goes on, it becomes more difficult to see where new information has been added – I wished that there was a star next to pages with added information or something. Puzzles are fairly logical – I always knew what I needed to do – but sometimes require that you do things in a specific order, or approach with more steps than are immediately apparent. Hints sometimes give you something that you already know you need to do, you just don’t know how to do it. 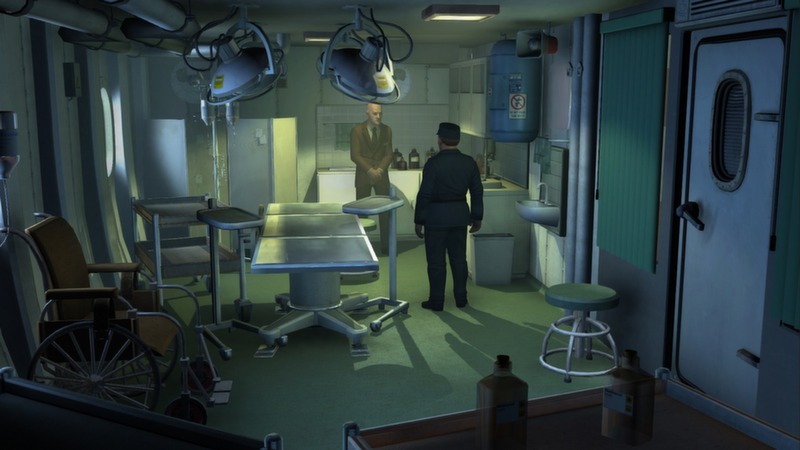 There are a few times where you’re taken out of typical point-and-click territory to do a mini-game, like a pencil rubbing, playing shuffleboard, or picking a lock with a wire. These feel natural and add to the game (except I hated the wire puzzle…too many bendable options!). The ending is both satisfying and abrupt, because you’ve solved a major mystery but are suddenly bounced to the credits. It’s definitely a great cliffhanger though! The game has fourteen Steam achievements for episode one. This is an excellent adventure game with a great detective story, and I’m glad the team worked quickly to get a patch out to fix issues that players were experiencing. I can’t wait for part two! There is also a prologue to the game that you can pick up for free at the App Store. I played it before I played the game, and it’s short but does a great job at setting the tone. It’s compatible with iPhone 3GS, iPhone 4, iPhone 4S, iPhone 5, the 3rd, 4th, and 5th generations of iPod touch, and iPad. It requires iOS 4.3 or later and is optimized for iPhone 5. Check out the official site, like the game on Facebook, and follow on Twitter. You can buy the game on Steam in a standard ($24.99) or deluxe ($29.99) edition. It’s also currently 10% off of both editions until the 30th in celebration of the release. The deluxe edition includes the soundtrack, story book, making of booklet, papercraft mask, and a digital poster. Both versions include access to all three chapters of the game. Chapter Two: Ancestry of Lies will release on August 27 and Chapter Three: A Murder of Ravens will launch on September 24. Watch for my reviews! 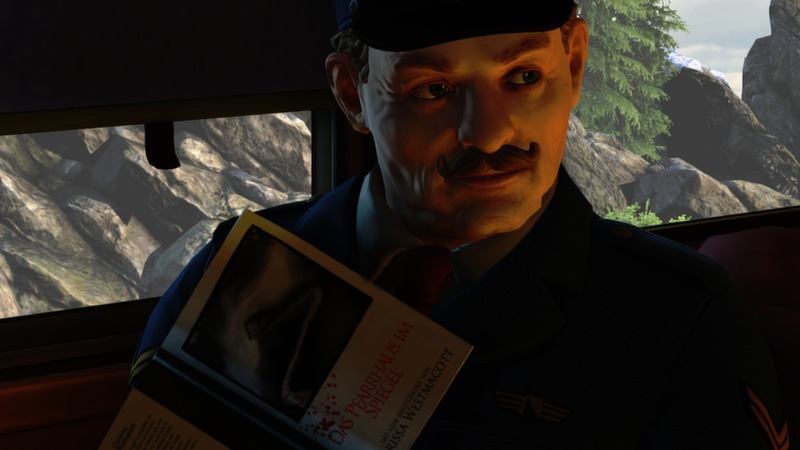 Bugginess bogs down what is otherwise an excellent adventure game with a great detective story. I’d cautiously recommend The Raven now, based on the story, and would be more enthusiastic once a patch is applied.